Hi-Rez Studios’ Smite has been an absolute hit on the PC as the studio announced this past July the game has achieved ten million players. 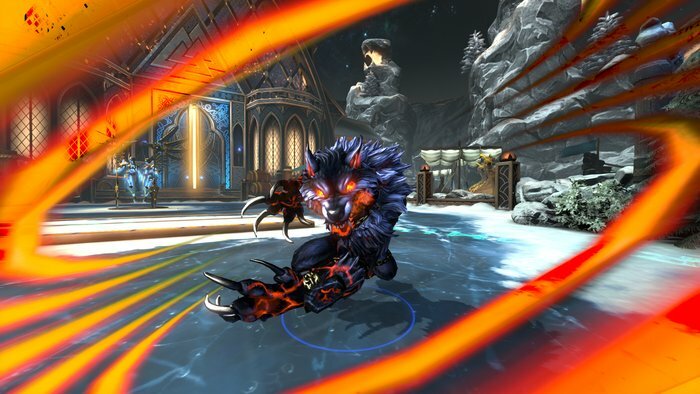 We’ve been keeping an eye on the new MOBA on the block for several months now as we conducted several interviews with Hi-Rez Studios. The game recently went into open beta last month and is officially launching today on Xbox One. I had the chance to play the game for a few weeks prior to its official launch, and I have to say that I am completely smitten with Smite. At its Xbox One launch, Smite will have a total of 67 Gods to select from various religions, mythology, and other beliefs. The amount of playable characters can be a bit overwhelming at first, but in typical MOBA fashion, you're only given access to a small number of characters if you want to play for free. Free characters are frequently rotating, so if you find a character you like, you'll have to pay for them with either in-game currency or real-world cash once Hi-Rez ends your free ride. I was impressed with the amount of characters that were available in free rotation as a total of 11 were available at the time of this writing. I was given access to the Founder's Pack for my review, which gave me access to all previously-released Gods and future ones as well. I was able to find a handful of Gods that I enjoyed playing as based on their abilities, although that took a bit of research and a lot of reading. The first God I became acquainted with was Freya, the Queen of Valkyries. I liked her play style because she is able to deal damage both close-up and from afar. As she leveled up, her attacks would become faster and more devastating, which allowed me to destroy any God that dared to take me head on. The second was Bacchus, the God of Wine. I originally chose him because his character preview shows him stumbling around as he chugs wine from a large jug and wields a large drumstick. I thought that was pretty funny, so I gave him a shot. I wasn’t disappointed as he has a burp attack that can stun and disorient enemies. His play style is more supportive, although he has a devastating Belly Flop attack that can take down opponents if used correctly, like when they’re running away in order to save themselves from being defeated. Smite eased me into its unique view of the MOBA genre as it offers tutorials and co-op play game modes to help you hone your skills before you take the plunge to online play. Versus mode is where I spent the majority of my time, specifically in the Arena as it's a no-lane map where Gods duke it out with one another. There are more traditional MOBA maps, such as Joust which has small teams of 3v3 fighting in a one-lane map and side jungles. There are a total of six different game modes available, although only one map per game mode. While the variety in game modes should cater to most players, the lack of multiple maps per mode can make the action feel stagnant. It isn't difficult to memorize the location of jungle camps and trails, making it easy to use to a veteran player's advantage. And by veteran, I mean someone who has played the map at least twice. The majority of Gods I faced off against and played alongside felt well balanced against one another. Some Gods can appear to be overpowered in the right hands, but for the most part, I didn't feel any were impossible to deal with as long as I was able to think on my toes and team up with my allies. When playing on more traditional MOBA maps, I felt Hi-Rez studios gave a very good interpretation of how that kind of game would play from a more direct perspective. I was still able to see the lay of the land by peeking at the map in the upper-right corner of the screen while I took care of business, allowing me to feel connected to the game no matter what was going on. Speaking of interpretations of MOBAs, the gamepad controls are done so well that I feel weird playing with a mouse and keyboard on the PC version of Smite. Hi-Rez Studios did a great job translating the feel of the game to the Xbox One controller as I’m able to perform several abilities and use items with the press of a button. I’m also able to purchase new items from the Store, check that status of my abilities, and communicate with my allies and taunt my enemies with just a few presses of the D-Pad. To be fair, though, the learning curve to pick up how much you can do with the Xbox One controller is a bit steep, although beginners will be able to get the hang of performing basic abilities. 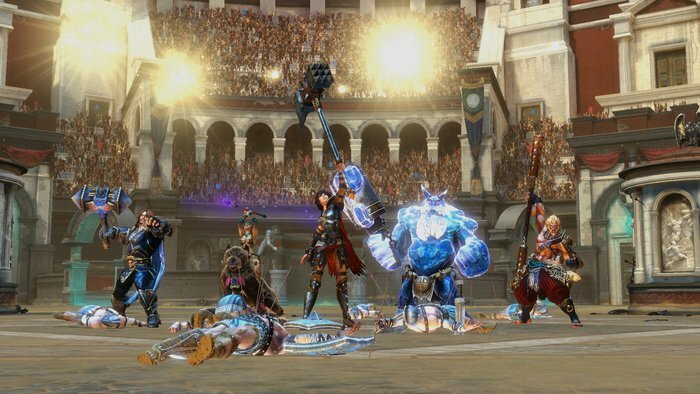 As a regular MOBA player, I really enjoyed my time with the Xbox One version of Smite. As much as I enjoy playing MOBAs, being able to play it from the comfort of my console with a gamepad is a huge plus. In fact, I'm hoping Smite can show other developers this genre of games can be done on consoles, or at least with a gamepad in mind, so then those who want to waste hours crushing towers and battling other players can do so in a way that's most comfortable to them. This review is based on a Xbox One code provided by the publisher. SMITE is available on the Xbox Store on August 19. The game is rated T.
Does this game have single player? It has practice modes where you have ai teammates vs bots and co-op modes with human teammates vs bots. Other than that there is a 1 v 1 Joust mode in Ranked, but not only do you have to reach Player Level 30 to play it, you have to get at least 16 characters to Mastery Level 1 to play it. There is no single player campaign or horde mode type things though. Just Team vs Team matches. Also, you get no match rewards for the Practice Mode matches and get reduced rewards for Co-Op. I played the beta, Love the Controller feel. My 2 MOBAS of choice are this and Heroes of The Storm.